SNEAK PEAK NEW LUXURIOUS COUNTRY VENUE AND RESTAURANT – THE BRIAR BARN INN – OPENING DECEMBER 1ST! 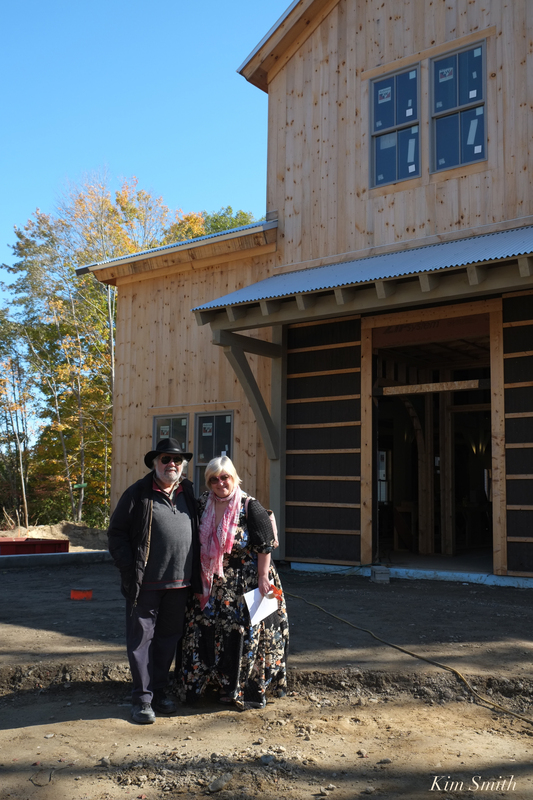 Recently Briar Forsythe, my friend and proprietor of the North Shore’s newest inn and special events venue, the Briar Barn Inn, invited me to again visit the property and photograph their progress. You can see photos from April here. You will simply be knocked out by the beauty of the architecture and exquisite interior details. The buildings perfectly meld with the pastoral landscape, paying lovely homage to the area’s agricultural roots. Some of the details will melt your heart. For example–architect Gerald Fandetti and designer Charlotte Forsythe, many, many years ago, rescued the gorgeous arching windows you see pictured here. 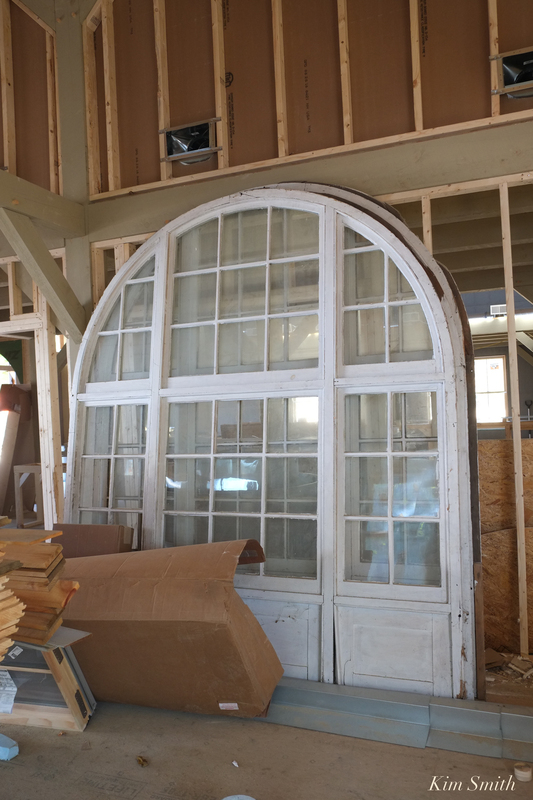 The windows have been incorporated into the architecture of the Barn and will flank the entryway vestibule. Imagine storing these huge unwieldy windows for decades, not knowing if they would ever find a new life. People love farmhouse style weddings–mostly because they want the feeling of at-home, relaxed, and down-to-earth entertaining. At Briar Barn Inn, you will find the perfectly idealized setting for your dream down-home wedding, along with every imaginable modern luxury. More sneak peaks to come! Briar Barn Inn is located in Rowley on the Essex Coastal Scenic Byway at 101 Main Street (Route 1). For more information about the Inn visit the Briar Barn Inn website here. To book your stay call 978-653-5323. BRIAR BARN INN IS NOW BOOKING: December 2018 and beyond! We’re so excited to be opening our Inn just in time for the holiday season – on December 1st, 2018! We want our friends and neighbors in Essex County to be among the first to enjoy our cozy rooms, so we are offering an introductory rate of 20% off your entire stay! So if you’re looking for a local getaway in December 2018 – March 2019, or want to host your family or friends for a wintertime visit, we invite you to celebrate a new tradition in our 30-room Inn. Each room features a fireplace, luxurious bathrobes, and an alcove soaking tub! We’ll also include a special in-room gift for our guests in December to celebrate our very first month in business. The opening of our Restaurant and Spa will follow shortly after our December 2018 Inn opening, so this introductory rate is the perfect way to get a preview of all our property will offer. Visit our reservation website (linked below) to book your stay! After selecting the dates of your stay, enter the code “LCAL” under the area that says “Rate Options”, and hit the “Apply” button to get 20% off your entire stay for visits between December 1st, 2018 and March 31st, 2019. Or call and mention “Local Love” to experience our very first season at Briar Barn Inn! This entry was posted in Willowdale Estate and tagged Briar Barn Inn, Briar Forsythe, Gerald Fandetti, North Shore event venue, Restaurant on November 6, 2018 by Kim Smith. My friend Briar Fandetti Forsythe is building a luxurious country inn estate in Rowley, on the Essex Coastal Scenic Byway. The grand opening for Briar Barn Inn is scheduled for November. 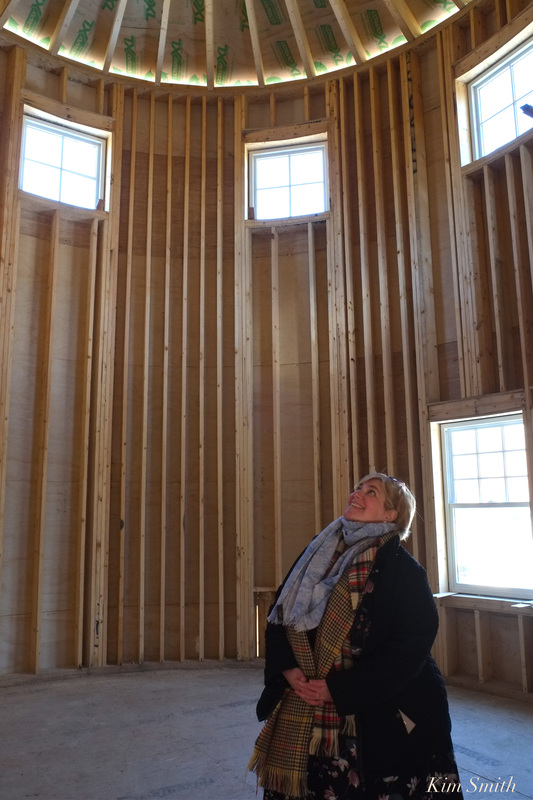 Last week I toured the Inn with Briar, while it is still under construction. Set against a bucolic background, everything about Briar Barn Inn embodies relaxation, luxury, and comfort, from the full service restaurant to the art gallery, spa, and swimming pool. Designed by architect Gerald Fandetti, with interiors by artist Charlotte Forsythe, stunning and elegant architectural details abound. Each wing of the Inn has a unique theme, and design to suit the theme–an elegant silo turned library for example–and each wing has a common area with gorgeous soaring vaulted ceilings. The guest rooms surround an inner courtyard; every guest room is actually a suite, with beautiful arching entryways leading from bedroom to living area, and every room has its own fireplace! Stay tuned- more updates on the Inn’s progress to come! The restaurant at the Inn is a beautifully designed post and beam barn, and will not only be open year round, but the rustically elegant decor also makes the perfect setting for weddings and special events. Ben Lightbody, Willowdale Estate’s renowned executive chef, partners with local farms, including Cedar Rock Gardens and Aprilla Farm, to offer the freshest seasonal produce and seafood. The full service restaurant will be open to hotel guests and the community, serving breakfast, lunch, and dinner, seven days a week, the year round. This entry was posted in North Shore Boston and tagged Briar Barn Inn, Briar Forsythe, Britton Construction, Charlotte Forsythe, Essex Coastal Scenic Byway, Gerald Fandetti, inn Rowley MA, restaurant Rowley MA, Rowley, where to stay Essex Coastal Scenic Byway, Willowdale Estate on April 19, 2018 by Kim Smith. A Roaring Time was Had by All! 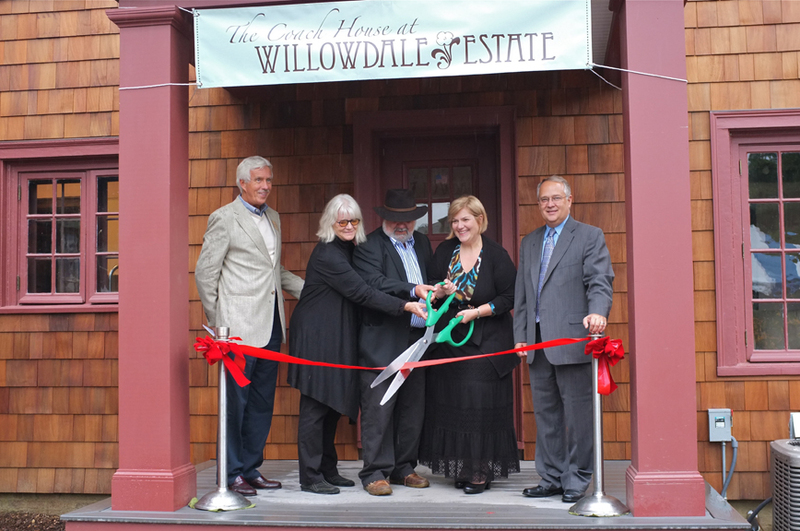 Last evening was a combined celebration of the ribbon cutting ceremony for the completion of the Willowdale Estate Coach House AND the 5th Anniversary party for the estate. 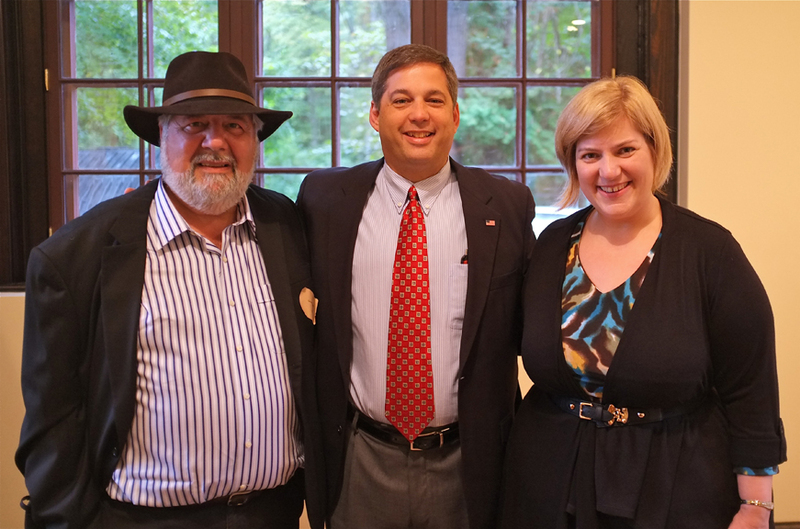 Willowdale is a shining example of the Massachusetts Historic Curatorship Program. Senator Tarr was there to show his support for the curatorship program and to congratulate the family on their tremendous success. 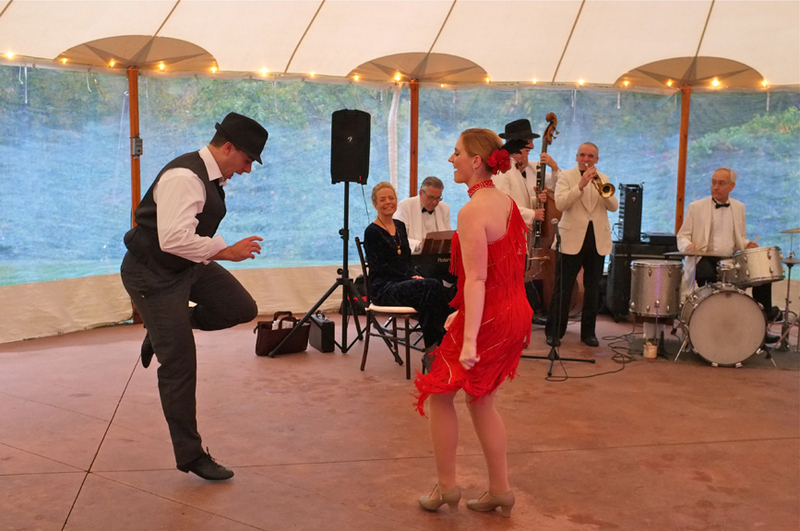 The hostess and guests were dressed in smashing 1920’s inspired costumes, champagne and crazy delicious refreshments kept the party-goers energized, a swing band had the joint jumpin’, the tent was beautifully illuminated and aglow, and the garden glistened in the warm misty rain. 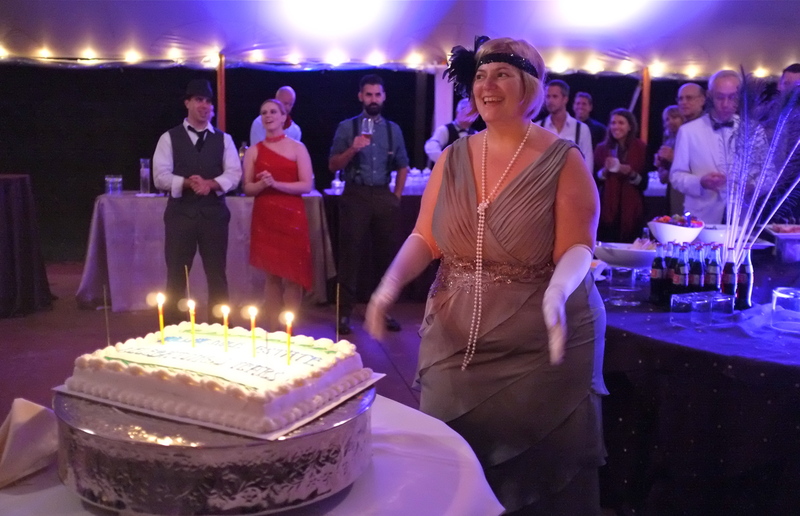 A roaring time was had by all! 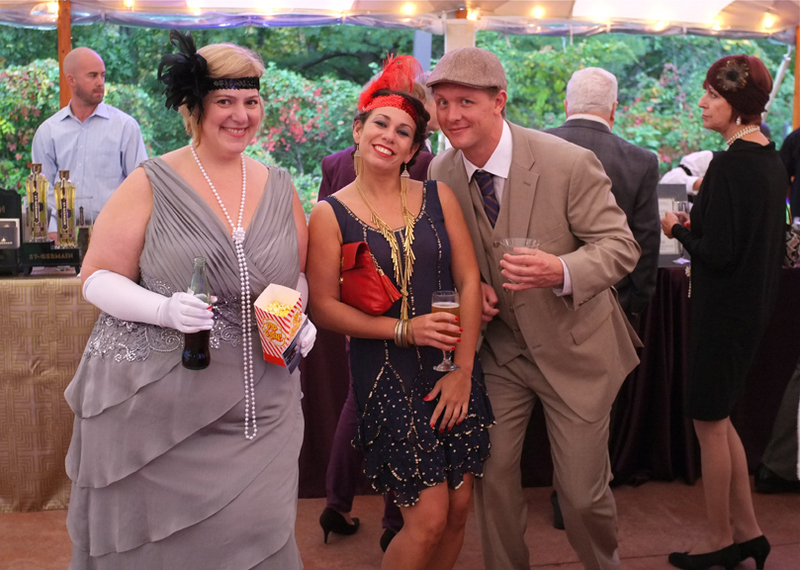 The Roaring Twenties, or as the French dubbed the period “Années Folles” (“Crazy Years”), was the time during which Bradley Palmer entertained in high style at Willowdale Estate, formerly referred to as the Bradley Palmer Estate. 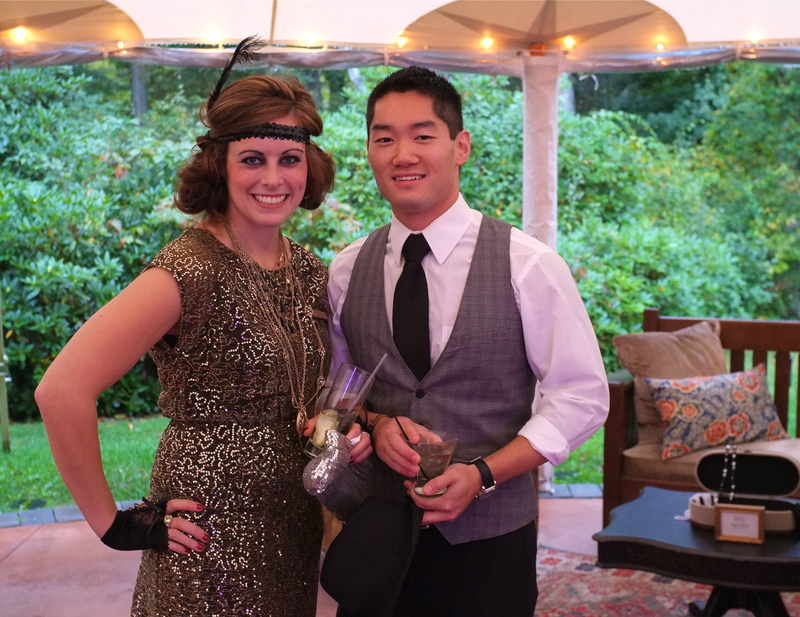 Willowdale Estate is the absolutely ideal venue for a twenties inspired celebration! This entry was posted in Events and Appearances, Willowdale and tagged Bradley Palmer, Briar Forsythe, Gerald Fandetti, Roaring Twenties, State Senator Bruce Tarr, Willowdale Estate on October 7, 2012 by Kim Smith.